You can borrow Amazon Kindle Books from your library to read on Kindle devices or Kindle reading apps. Use the following steps below to borrow Kindle Books and deliver them to your Kindle, Kindle reading app, or Kindle Cloud Reader. Visit our library’s OverDrive website. Find the book you want and then go to the details page. The details page lists the formats available for that title, including Kindle Book (if available), and allows you to choose a lending period. Once you find an e-book that’s available as a Kindle Book, select Borrow. If prompted, sign in. Go to your Checkouts page (under My account). From there, select Choose a format, then Kindle Book. You’ll be taken to Amazon’s website to complete checkout and send the e-book to your Kindle device or reading app. If you’re already signed into Amazon, continue to step 5. 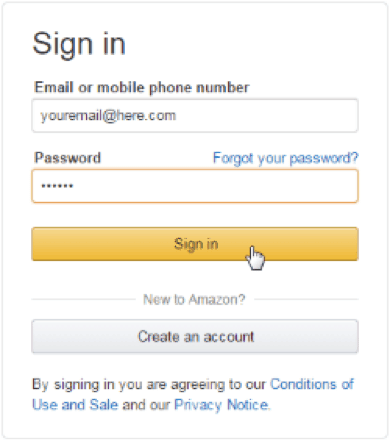 If you’re not signed into Amazon, skip to step 6. 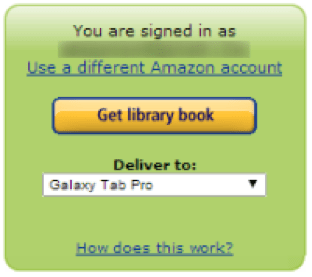 If you’re signed into Amazon, select a device or reading app from the “Deliver to:” drop-down menu, then select Get library book. The book will be sent to your Kindle device or reading app, and you’ll find it on your device or app’s home screen. TIP: You must complete this step for the library book you borrowed to show up in your “Manage Your Content and Devices” list in your Amazon account. If the library book does not appear in this list, you won’t be able to download it on any device. If you’re not already signed into Amazon, select Get library book. You will be prompted to sign in. 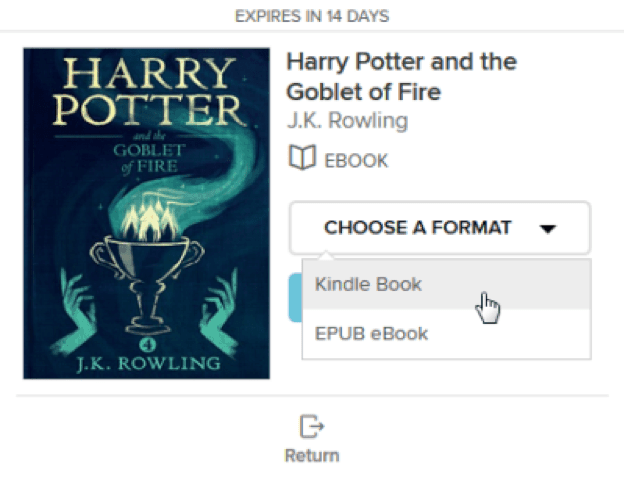 After signing in, a page will open where you can select the device or reading app where you’d like to send the book you borrowed, then select Continue. TIP: You must complete this step for the library book you borrowed to show up in the “Manage Your Content and Devices” list in your Amazon account. If the library book does not appear in this list, you won’t be able to download it on any device. NOTE: Library books require a Wi-Fi connection for download to Kindle devices. If you do not have an available Wi-Fi connection, you will need to transfer the title via USB. Once a book is on your Kindle device or reading app, open it from your device or app’s home screen to begin reading. If you want to read the e-book on a different Kindle device or app, you can download it again during the lending period.